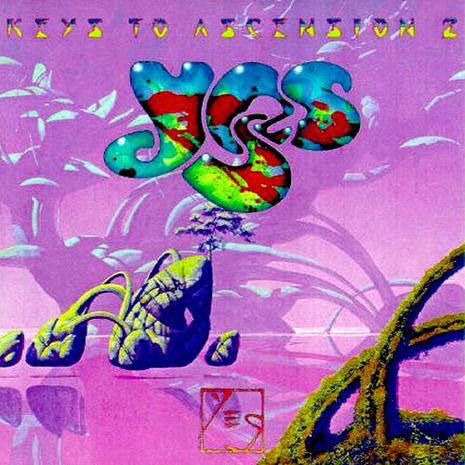 Keys to Ascension 2 is a double album by the British progressive rock group Yes and was released in 1997. It is the successor to the critically acclaimed Keys to Ascension 2-CD set from 1996. Like the first seven tracks on the previous album, the first six tracks on Keys to Ascension 2 were recorded live in San Luis Obispo, California in March 1996. The second disc features studio recordings made in November 1996. Rick Wakeman wanted these studio tracks to be released with Jon Anderson's working title Know, with the disc of live tracks thrown in as a bonus. Wakeman's preference was not honoured and by the time Keys to Ascension 2 was released, he was no longer in the band. Keys to Ascension 2 features cover art by Roger Dean on an outer sleeve that fits around the package. On the sleeve, the image's predominant colour is magenta, but the booklet features the painting in its original blue colouration. Note: "Mind Drive" would be Yes' eighth and last song over 18 minutes.